Does the Federal Government Regulate the Weight and Size of Trucks? How Are the Limitations on a Driver’s Hours of Service Enforced? 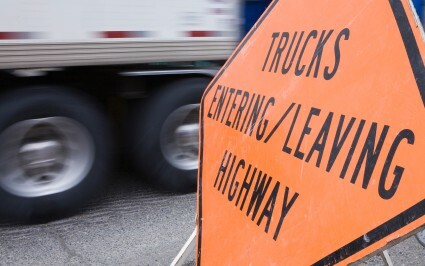 Is There a Link Between Truck Driver Pay and Safety? On January 1, 2000, Congress established the Federal Motor Carrier Safety Administration (FMCSA), within the U.S. Department of Transportation. This organization was formerly the Federal Highway Administration Office of Motor Carriers. Its primary mission is to “reduce crashes, injuries, and fatalities involving large trucks and buses.” As part of this mission, FMCSA develops and enforces regulations designed to strike a balance between safety and industry efficiency. One of the main regulations developed by FMCSA is the Hours of Service Regulations. (HOS). These regulations place specific limits on the number of hours that a truck driver can drive his truck without a break. Prior to the formation of FMCSA, the HOS rules had not been changed in more than 60 years. FMCSA also oversees compliance with the commercial driver license standards for drivers, carriers, and States. These regulations require that drivers pass written and driving tests. FMCSA also provides educational programs for safety, including messages aimed at passenger car drivers and pedestrians. FMCSA’s research and technology work is designed to develop new and safer methods of truck and bus safety. FMCSA also works with States to develop and implement local safety rules. One such program, Performance & Registration Information Systems Management (PRISM), links federal motor carrier safety records with the State’s vehicle registration system. Safety performance is continuously monitored. Carriers which are prohibited from operating in interstate commerce may be denied the ability to register their vehicles.